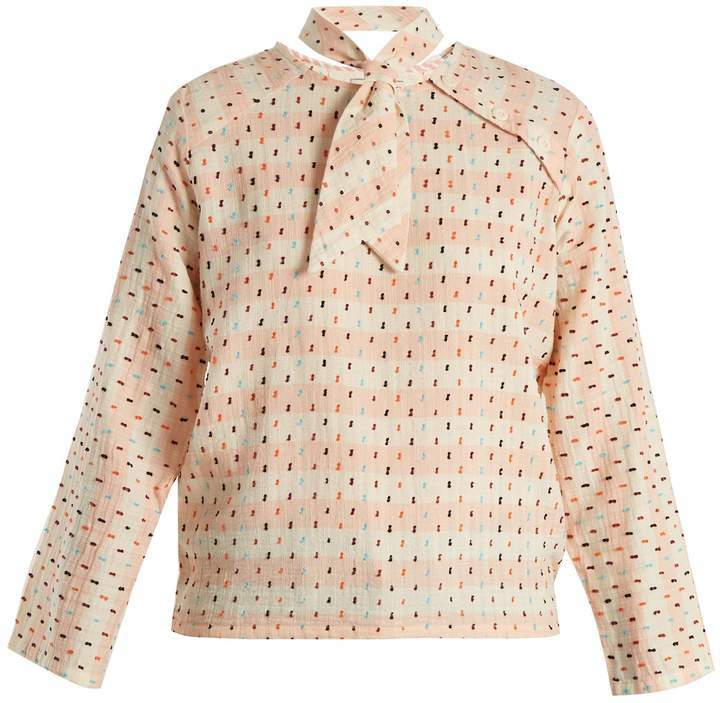 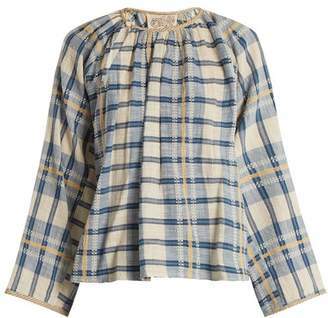 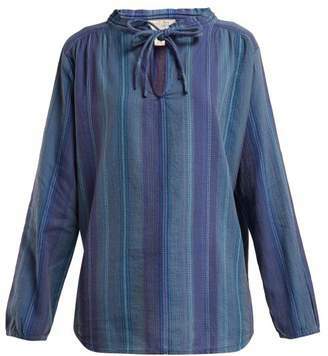 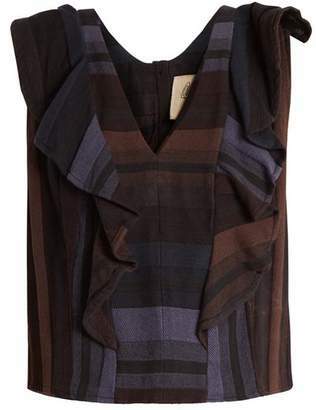 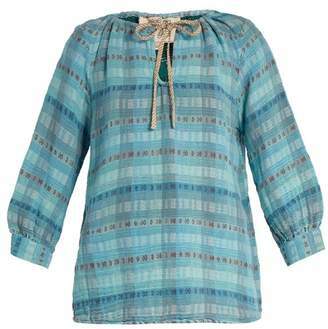 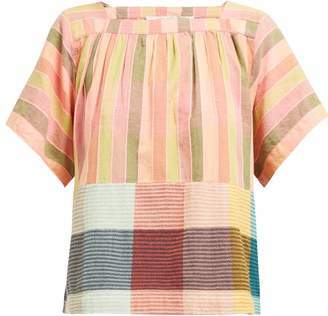 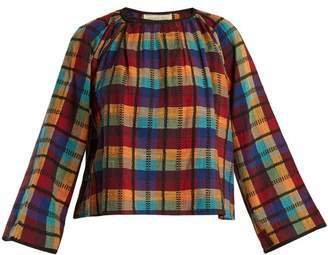 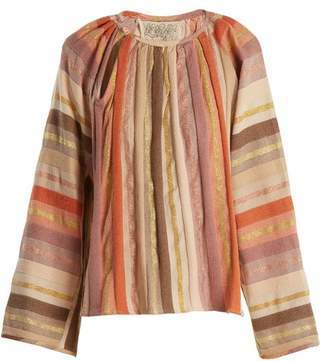 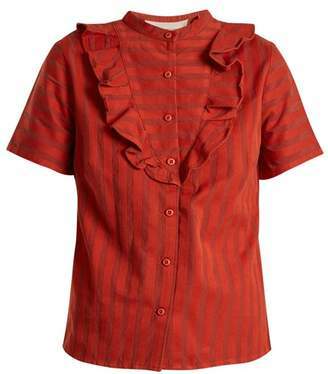 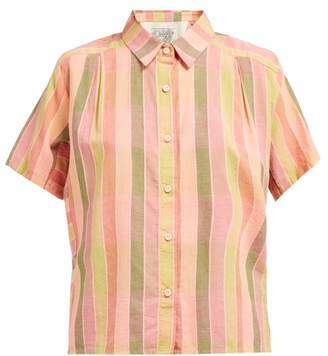 A rainbow-coloured fil coupé gives Ace & Jig's elegant Jackie top an artful feel. It's crafted from double-layered cotton-gauze to a fluid yet refined shape with three-quarter length sleeves and a coordinating neck tie and is finished with an asymmetric button fastening at the shoulder for a modern touch. 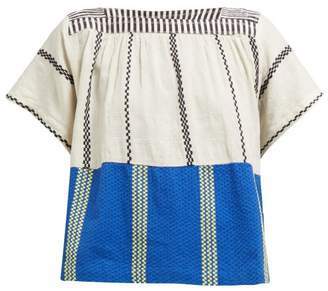 Wear it with faded-blue jeans for a look of pared-back chic.